What a wonderful way to celebrate one of the worlds most treasured and loved Legends than to not just let his music and legacy live on but for fellow artists, friends and fans to put their music to words written by Cash that were never before seen by the public until the release of the book. These words written by Cash were either unfinished lyrics, poems or letters he had written to June. Being asked to be part of this project is probably one of the most highest honours anyone could ever be asked and the high calibre of artists honouring and celebrating Cash is incredible. 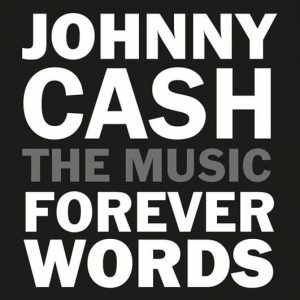 Many of the songs on Johnny Cash: Forever Words were directly inspired by material in the book while others are drawn from different sources of Cash’s unpublished writings. This collection of songs, of art is for any fan of Johnny Cash and any fan of country music or just for people who appreciate the craft and beauty of great music as a whole. The album starts off with a spoken track Forever/I Still Miss Someone by Kris Kristofferson, a living legend himself delivers a very Cash-like poetry reading of one of Cash’s last ever poems with guitar accompaniment by another living legend Willie Nelson both of whom were great friends with Johnny. Moving and emotive, we are reminded in this moment of what a undeniable talent Johnny Cash was and how he is a timeless artist who will live forever through his words and his music. 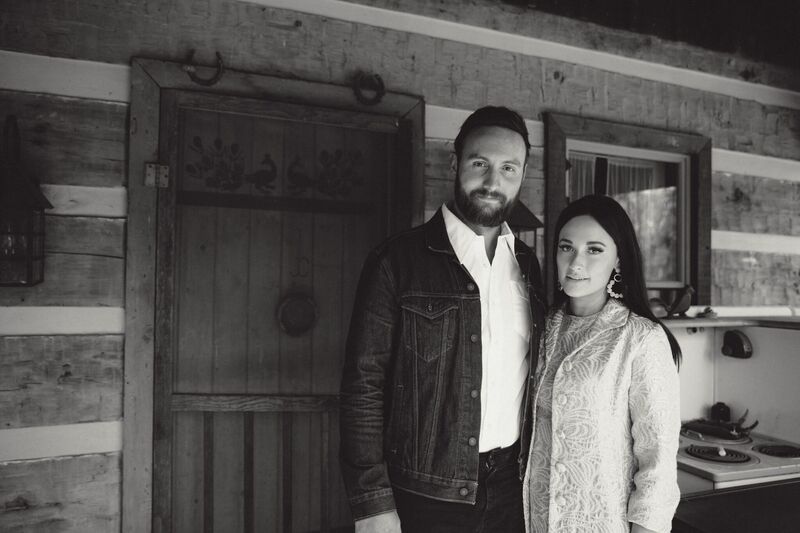 Husband and wife Ruston Kelly and Kacey Musgraves form a duo to create their stamp and put their music to one of Johnny’s love letters to wife June Carter Cash. The re-imagination of To June This Morning is a sensational piece and with Kacey and Ruston’s collaboration being the perfect musical marriage as much as Johnny and June were. I crave more of the pair’s vocals together as they are delightfully delicate and breathtaking and they compliment Johnny’s words so beautifully with a simple yet highly effective melody as Johnny’s music often was. Country super star Brad Paisley lends his vocal and music to Gold All Over The Ground. Brad has a great story telling voice and gives a completely different view to Cash’s music in this song and as a wonderful songwriter himself, Brad has certainly added his own mark on this track making it very much his own completely. Chris Cornell is one of my favourite vocalists of all time and in many ways is similar to Johnny Cash as both share a dark, melancholic style to their vocals. Chris has a wonderfully distinctive tone which suits Johnny Cash’s music in such a way that he sings the words as if he not only wrote them but lived them. This was one of the last songs Chris Cornell recorded before his tragic death last year. This track is probably my favourite and what Chris has done is something so incredibly special and the song is even more emotional with the loss of both phenomenal artists. Alison Krauss can do no wrong. One of the most unique and sensational voices in the world, Alison brings a stunning country-folk, bluegrass edge to Johnny’s words. Alison Krauss and Union Station made a rare recording together on The Captain’s Daughter,the group’s first new studio recording in six years. Grammy Award winning producer T Bone Burnett lends his vocal and music to Jellico Coal Man. This track has a dark country rock melody which fits the title and words so well. I hadn’t heard T Bone as a vocalist before so it was nice treat and I enjoyed his natural, gritty tone. The track despite being relatively dark as most of Cash’s music was, it has a slight upbeat chorus and a certain Cash quality in the melody. Daughter Rosanne Cash delivers a stunning, emotive vocal and melody to The Walking Wounded. I hear so much of Johnny in this track and in the way Rosanne sings. The natural way of how the pair tell stories in their music is second to none. The track is so soft but at the same time holds a heavy impact that stops you in your tracks and makes you really listen to every word and every note. A more upbeat tune comes with John Mellencamp on Them Double Blues. This is a track you want to dance to and the instrumentation is perfection. The gorgeous Jewel lends her stunning vocal to Body on Body. This track is so beautiful. Jewel has such a raw, passionate yet sweet vocal and she makes the words her own and brings out a new sound to Johnny Cash. Elvis Costello delivers a gorgeous piano driven I’ll Still Love Her which blends the strongest of Costello’s sounds with the powerfullest of Cash’s words. Carlene Carter, daughter of June gives an empowering vocal to June’s Sundown which holds a Jazzy and bluesy tone in her voice. This dark and down track is highly impressive and beautifully sung. Dailey & Vincent give poetry reading to He Bore It All followed by an traditional country sound with fast paced instrumentation in the fiddle and banjo picking. The baritone vocal in the song brings a special sound blended with the more higher vocals. Female trio I’m With Her bring a dark swampy, mysterious sound to C****ty Pin Hill mixed with a dark, country folklore style which is quite bewitching and hypnotic. Robert Glasper delivers a completely re imagined sound to Johnny Cash in the track Goin’ Goin’ Gone featuring Ro James and Anu Sun. What a brilliant and daring change in the form of old school R&B/Hip Hop. I adore this track and shows the beauty of music and lyrics and how many different directions words can take and how people hear them. The Jayhawks bring their traditional country sound to the words of What Would I Dreamer Do? This song is so poetic that it is very charming and dreamy. Jamey Johnson closes the album with Spirit Rider. Jamey brings a very atmospheric style and sound to the words of Cash and you really feel the music. This track is one of those you want to hear live. It has a haunting, ghostly and gospel feel to it and is really quite mesmerising. 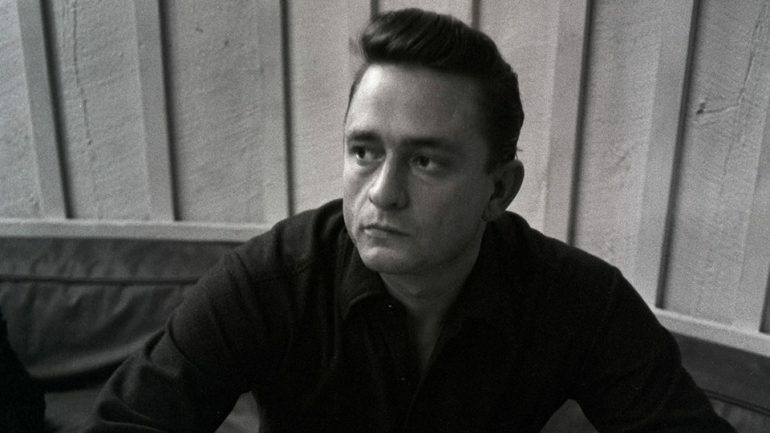 There is no denying that the Man In Black was a sensitive and passionate lyricist despite his outlaw status. His talent to write such powerful words and deliver a dark and believable mood is flawless. 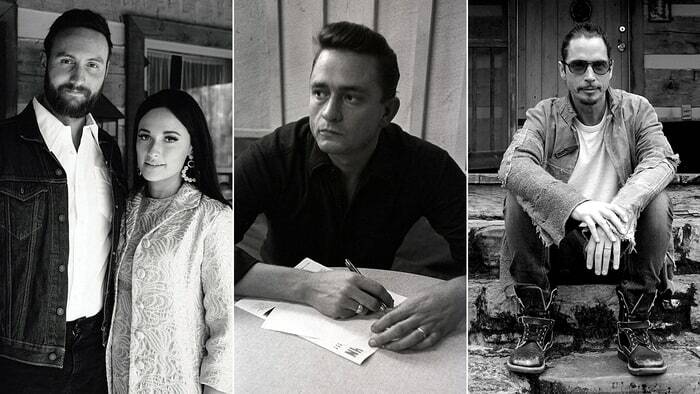 Each artist has shown their love and respect for Johnny Cash in the way they have put their personal touches on the music to his words. A cool collective, The album as a whole is truly captivating and engaging and is a must-have album for anyone who loves the true art form of music and lyrics.